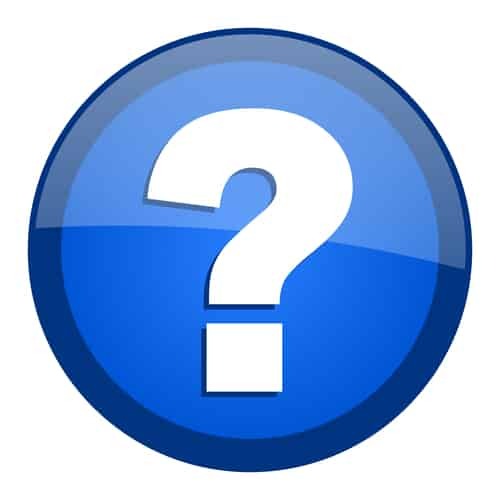 You will find below a list of the most commonly asked Geneva Airport Ski Transfer questions. 95% of questions we receive are answered on our website, so you may find the information you are looking for quicker by reading the appropriate section of this page or the correct page from the menu above. Click this link if you wish to Book Now or receive an Instant Quote for your group. Our routes out of Geneva Airport are operated by our franchisees, No Fuss Bus. If you need to speak to someone, then please email info@nofussbus.co.uk They will endeavour to answer your emails within 24 hours. For the company information and address of No Fuss Bus, please expand the section at the bottom of this page. I need to change my booking! To see details of how to change your booking, please visit this page of our website. What is your policy on carrying children? Our policy on carrying children depends on the route you are interested in. For more exact details about what we can do for you if you have children in your group, please visit our childrens page. How much is a geneva ski transfer what is the availability? To check availability on our ski buses, please click the Book Now function on the right. This will give you the total price for groups, including all Discounts, Sunday / Weekday Surcharges, Late Booking Fees, Airport Charges, Taxes and Website Fees. It will also show you, on the following pages, the availability of each bus. What time do your Geneva buses go? Our bus timetable works around the flight arrivals and departures so you never have to wait long. The easiest way to find the bus time that connects with your flight is to put your details into our Booking Form. Once you have selected your dates and flights, our ski transfer bus times will appear. Does Ben’s Bus do weekday ski transfers to & from GEneva airport? At the moment Ben’s Bus only runs ski transfers from Geneva Airport on Saturdays and Sundays (see below for our dates of operation). To source an alternative transfer we would recommend visiting the official Tourist Office website for your resort. What dates do you run your geneva buses? The dates shown below will appear in the Drop Down window that appears when you book our transfer service (click the “Book Now” button to the right). In the Drop Down, we list our Saturdays first and then, below the Saturdays, we list the Sundays that we operate. We run our shared resort transfers between Geneva Airport and most of the French ski resorts on Saturdays from the 8th December 2018* until the 20th April 2019 and Sundays from 23rd December 2018 to the 7th April 2019. If you are travelling outside of these days, we would recommend contacting the tourist office for your ski resort for alternative ways of getting to the resort. Do your transfers run from the French or Swiss side of Geneva Airport? We pick up and drop off at the Swiss side of Terminal 1 at Geneva Airport. This is where the majority of international flights arrive into and depart from. If you need to travel between the French and Swiss sides of Geneva Airport, please follow the signs inside the airport. It is a very short walk. I am not flying into Geneva airport, can you still transport me? This is possible as long as you can be present in the arrivals terminal (swiss side) at Geneva airport. When making a booking please select ‘connection’ under the airline and airport options. If you select the time that you will arrive at the airport then you will be transported in the same manner as the rest of our customers. Why is there sometimes a wait between my flight landing & your bus leaving? In order to offer these unbeatable prices, we group several flights together onto one bus. This means that some people will have a longer wait at the airport than others – although conversely, it normally means that your return bus will be perfectly timed for your return flight home. We allow enough time for you to land, go through passport control and collect any bags/sports equipment before boarding our bus. Why does the bus appear to get me to the airport so early? We have had many years of experience on the mountain roads and we know that when there is heavy traffic or bad weather the roads become treacherous. We allow ample time to get you to the airport safely and check in before you fly home. We know which dates will have heavier traffic than usual and we automatically allow more time to get you to the airport. You may see some companies offering to get you to the airport in a quicker fashion but they are bound to be considerably more expensive than us. If you have any concerns on this then please do not hesitate to contact us. Which ski resorts do you cover from Geneva Airport? You will need to include your dates of travel, flight times and number of passengers when you book with us. I have not got my e-Ticket! If you have booked transfers using the Ben’s Bus website and you have not received an e-ticket from us or it has been lost, then you can send it to yourself again on this page. Please do remember to check your “Spam/Junk” mail folder and your “Promotions” folder!! If you are still missing an e-Ticket, please contact us using by clicking on the correct FAQ on this page. I have my e-Ticket on my phone but not printed – is this OK? This is fine. Please just ensure that you can see all the information that is on the e-Ticket as it is really useful stuff! The driver and / or rep will accept an e-Ticket that is on your phone. What happens if my flight into geneva is delayed? You must meet our representative and board the Vehicle within fifteen (15) minutes of the scheduled Journey departure time on your Ticket. If you miss your Service due to a delayed or diverted flight or delayed Luggage and there is space on the next available Service, we may allow you to travel on that Service, at the sole discretion of our representative at the airport whose decision will be final. Please read the No Fuss Bus Ltd Conditions of Sale for Geneva Airport for further information. Where do I meet the rep at Geneva airport? All our vehicles drop off and pick up from the Swiss side of Geneva Airport at Terminal 1 (also known as the Main Terminal). Our representatives will be in the arrivals hall at least 30 minutes prior to the transfer time printed on your e-ticket. The reps will be wearing navy blue jumpers that display the Ben’s Bus logo. Turn left when you first enter the arrivals hall and you should spot us! We provide emergency contact numbers on our e-tickets in the event of an issue occurring. How many stops will there be during my journey? This depends on how many clients we have booked onto other resorts. Generally the stops do not have a significant impact on the overall journey time. My payment fails! What shall I do? 1. If your transaction is coming up as “Declined” then that is usually your card issuer refusing the payment. c) On the payment page where you put your card details in, you may have selected that you wish to pay in your local currency and there was an issue with this. Please try again but please time, select that you wish to pay in GBP (Pound Sterling £). 2. There was a temporary problem with the payment site – please try again in a short while. 3. You may be using foreign letters when you put your name / address into the Payment site. Please replace these with latin letters. 4. You have signed up to 3d Secure (Verified by VISA or Mastercard Secure) or another password driven security system operated by your bank. Sometimes our payment system is not compatible with the bank’s system. We would suggest trying again with a different card. Please do try again following the above tips and if it still does not work, try with another card or from another computer. If you still encounter problems with multiple cards then please contact ben@bensbus.co.uk providing the the name of the card holder, the exact time and date of the failed transaction and if possible a screenshot of the error you receive. Where can I find your conditions of sale? I really need to speak to someone! No problem! We’re sorry you weren’t able to find what you were looking for. The Ben’s Bus routes out of Geneva Airport are operated by a franchise of Ben’s Bus Ltd – No Fuss Bus Ltd. Please send an email to info@nofussbus.co.uk and they will endeavour to get back to you as soon as possible. If you are travelling today, please use the Contact Phone Numbers on your eTicket.